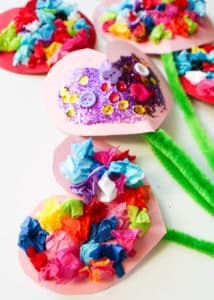 There’s a certain charm about toddler and preschool crafts, and this kid-made Valentines Heart Bouquet is guaranteed to melt the heart! I love the random sprinkle of glitter and button here or there. And you will love the simplicity! 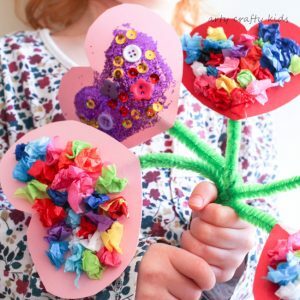 With minimal prep, our Valentines Heart Bouquet is a hands-on activity for little hands to scrunch, cut, sprinkle and stick. 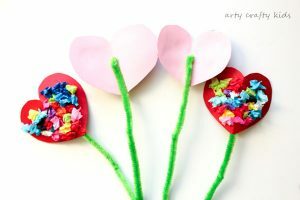 Put them together and you have a gorgeous, colourful Valentines bouquet with a difference. 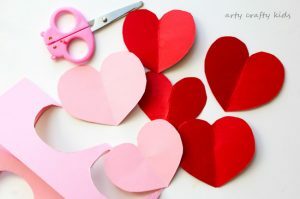 The best way to to create a symmetrical heart is to simply fold the card in half and cut out half a heart shape. Unfold the card and you ta-da, you have a heart! Next, it’s time to decorate the hearts. Offer your toddler or preschooler tissue paper, sequins, buttons, glitter or even paint, as well as some PVA glue, step back and watch the magic happen. Attach a pipe cleaner along the crease of the heart using PVA glue or sticky tape. 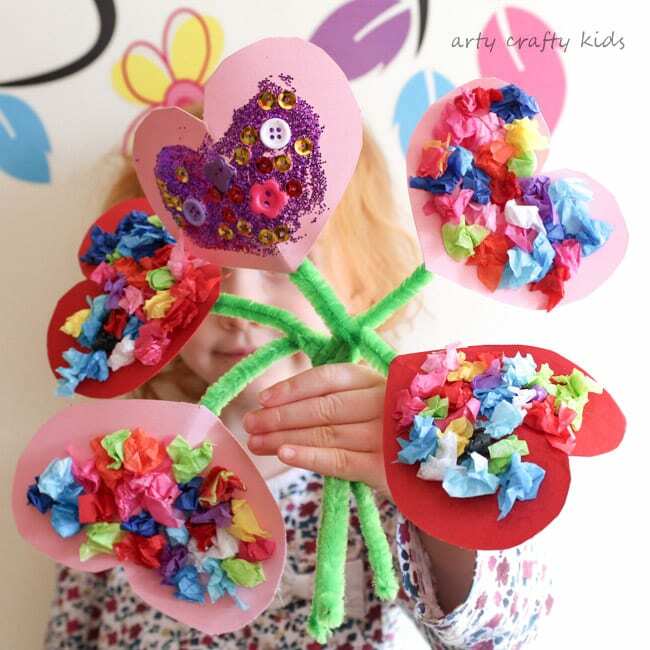 Gather the heart flowers together to create a bouquet! 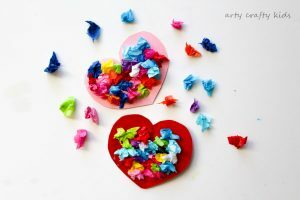 I hope you and your kiddos love this simple Valentines Heart Bouquet and if you’re looking for more Arty Crafty Valentines inspiration, take a look at our messy heart painting, heart crown and love birds!